I was born in Council Grove, Kansas and lived in the sunflower state to the age of fifteen. My parents moved us to Oklahoma in 1968. There I met my wife Charlotte and her beautiful family. We have been married forty years. We have one son, Sean. He and his lovely wife Kathy have two children: Gavin & Julia. History & language have always commanded my attention and I enjoy writing the most where the two of them are joined. 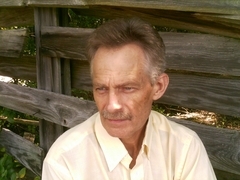 I have six published chapbooks: "Post Cards of Faith", Victorian Violet Press ; "Measured Days", Heavy Hands Ink Press ; "Kevin Heaton - Breaking Ground", MLM The Quiet Press ; "Chronicles", Finishing Line Press; "Family's Family", Aldrich Publishing; and "Spirit of the Buffalo", Reddashboard Publishing LLC. 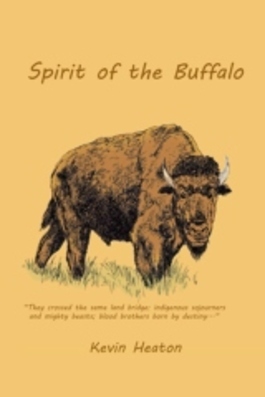 "Spirit of the Buffalo" is my favorite chapbook. It just is! So grab your beef jerky, saddle up, and meet me at Custer's dead elm tree. We'll head west, do some noodlin', and rob a honey tree.